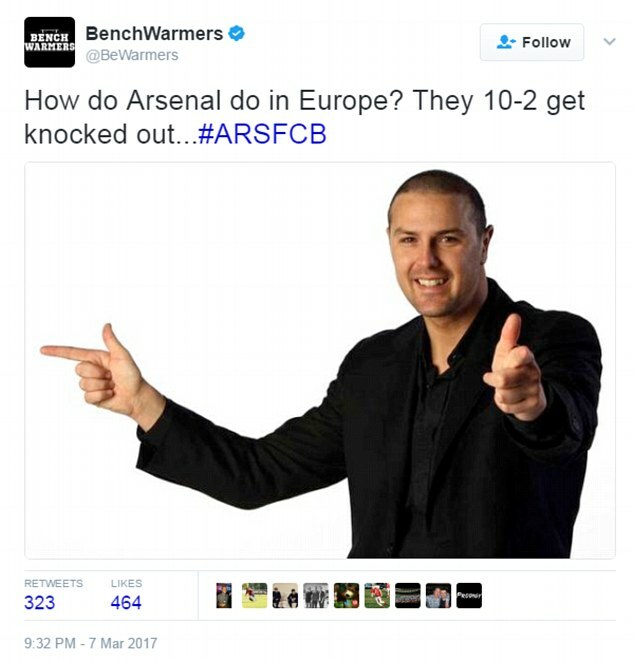 Lol, after inflicting the heaviest aggregate defeat on an English side in the history of the Champions League, Bayern Munich rolled out their final insult to Arsenal via Twitter. Bayern beat the Gunners 10-2 over two legs after a second 5-1 win on Tuesday night, the Germans scoring all their goals in the second half after the hosts imploded following Laurent Koscielny's sending-off. 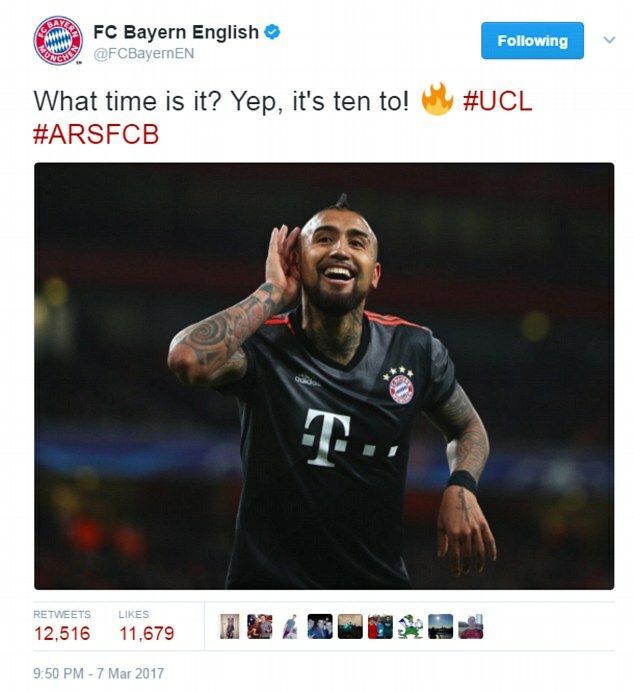 The German champions' English language Twitter account was just as brutal, tweeting: 'What time is it? Yep, it's ten to! ', referencing the aggregate score. 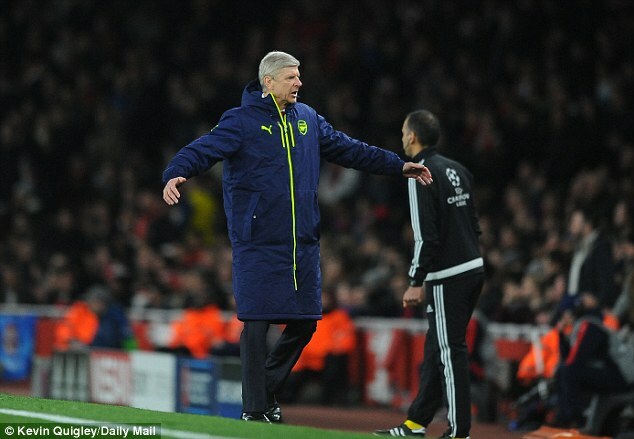 As it was, Munich did not have to wait a year, only a fortnight, before taking the chance to completely humilate Arsene Wenger's team. 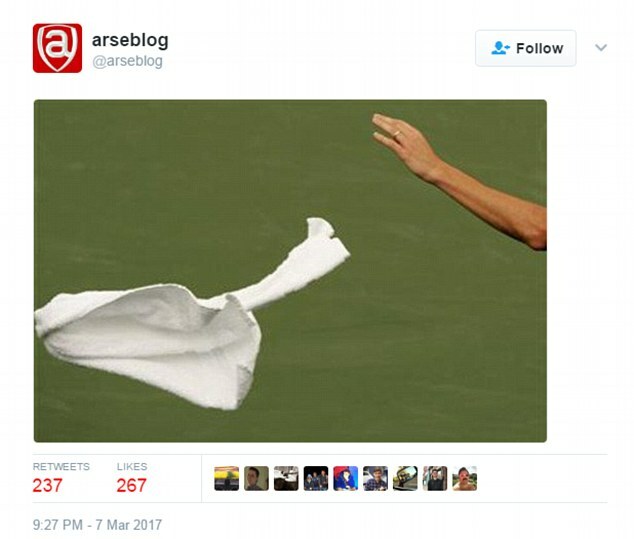 The joke went down well on Twitter, garnering over 11,000 retweets and 10,000 likes in two and a half hours, and led a stream of cheeky humour at the north Londoners' expense from across the website. 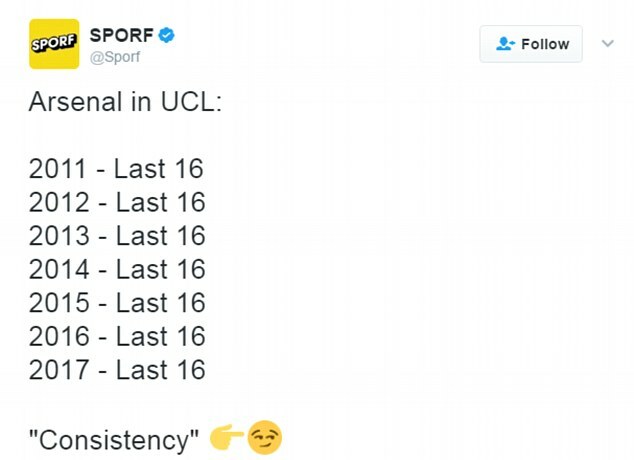 Others pointed out the Gunners' remarkable consistency in Europe - being knocked out in the last 16 in the Champions League in each of the last seven seasons. 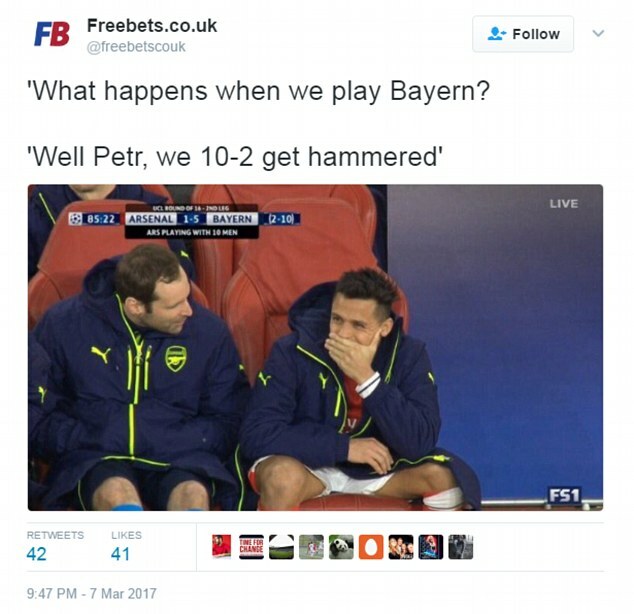 For Arsenal fans however, there could be few words apt enough to describe one of the worst nights in the history of the club.